Furniturea's Farm Collection offers the best of both worlds: The nostalgic appeal of vintage, hand-me-down furniture with the perks of modern production. Enjoy intentional quirks in color and hardware along with smooth, soft-close drawers and lux finish. 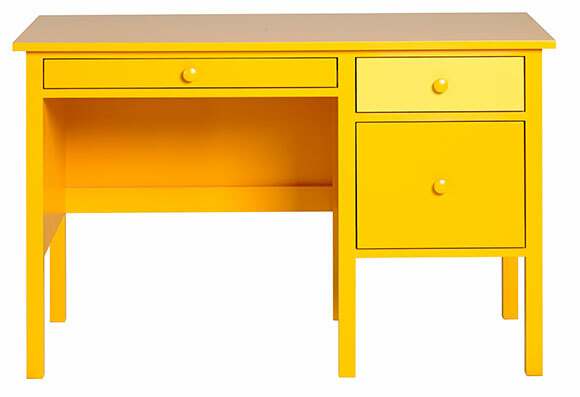 Choose a base color and we'll tint a drawer or two for added contrast. Drawer pulls are available in small and large sizes, and tinted, base or natural finishes. Desks accomodate standard and legal hanging files. Single pedestal desk shown in Bittersweet with small pulls.